In the famous midrash (Vayikra Rabba 30:12) comparing the four species with four types of Jews, the aravah fairs quite poorly. Lacking taste and smell, the willow is compared to those Jews devoid of both Torah learning and good deeds. Granted that the midrash emphasizes the significance of all kinds of Jews coming together, it still seems that the aravah has little to contribute to the Jewish communal mosaic. In their intense love for every Jew and their cosmic optimism, hasidic thinkers could not leave the situation as is. They found positive elements specific to those Jews symbolized by the willow branch. The Sefat Emet, the Gerrer rebbe, suggests that these Jews who lack erudition and great acts of observance can still excel in prayer. Perhaps their very modest accomplishments in other spheres engender the humility crucial for addressing the Ribbono shel Olam. Sefat Emet notes that the shape of the aravah resembles the lips (Vayikra Rabba 30:14) that utter the liturgy. The very term arev is associated with sweetness of voice (see Shir Hashirim 2:14) and alludes to applying that sweetness in authentic prayer. In a different passage, Sefat Emet identifies another optimistic theme. More than any of the other species, the aravah reflects the dedication of God to the Jewish people and the ongoing covenant from the time of our patriarchs. 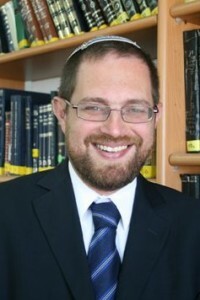 If He remains connected even to those lacking Torah and maasim tovim, then the commitment of the covenant must be quite powerful. R. Yitzchak Hunter was not a hasid but he was influenced by hasidic thought. He offers a novel understanding of the significance of the willow (Pachad Yitzchak Iggerot u’Ketavim p. 175). R. Hutner notes that the term “gadol” can be contrasted with either “katan” or “pashut”. Regarding the first contrast, the large unit encompasses everything in the smaller unit and more. A two hundred shekel bill has everything that a one hundred shekel bill contains. In contrast, the “pashut” or simple has something lacking in the great and complex, namely simplicity. Those of us prone to complex thought and intellectual abstraction might sometimes need the basic commitments and straightforward orientations of more simple folk. According to Rav Hunter, it turns out that the aravah does have a taste and smell all of its own. Greater individuals and deeper thinkers have what to learn from them.